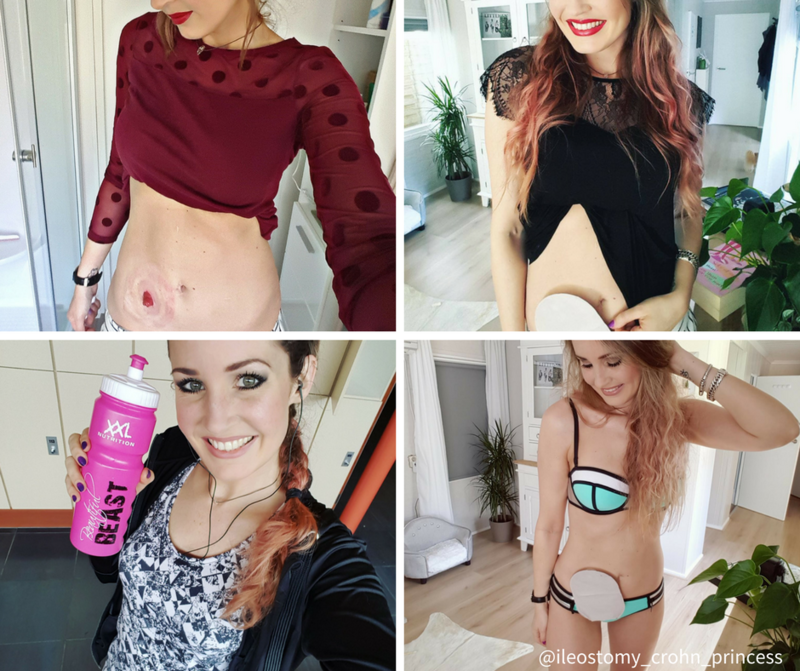 On a mission to inspire others through the connected digital world, 30-year-old, Wieke from the Netherlands, has dedicated her personal Instagram account and her time to motivate, inspire and bring comfort to others who experience life with an ileostomy. Diagnosed in September 1999 with Crohn’s Disease, Wieke had her ileostomy in January 2012. Now followed by close to 2,000 followers, she posts about her life with her ileostomy, provides useful tips, shares stories of frustration, success, inspiration and even laughter. “My page outlines an ostomy in a positive way. You can still wear those cute clothes or a bikini, you’re not dirty because you have one. We definitely don’t have to be ashamed of our bag, we are warriors! Oh yeah, and great multitaskers” Wieke said. We had a chance to recently interview Wieke and get to know her closer. Here’s what we learned about the Instagram user @ileostomy_crohn_princess herself. Q: Why did you start your Instagram page? A: I hope by sharing my personal journey people can see that there is a life after an ostomy, and a good one too! I also get a lot of personal messages from young people because they need the surgery and I love to have a chat with them and reassure them that an ostomy can really improve your life. Also, I hope people who never heard of or had seen an ostomy learn about it, make the sight of an ostomy so normal that our ostomates can go to the beach without being stared at. Q: We see from your profile you live an active lifestyle, what advice would you give to Ostomates who are struggling to stay active and fit? A: I recently started going to the gym again, I was out for a year due to personal changes going on in my life. With Crohn’s disease, it’s still a matter of making choices on how much you can do in a day. After an active day, I usually take a rest day and stay at home so my body can reload. It’s a matter of listening to your body (what’s a pretty difficult thing to do) but just do what lies in your possibility. If you feel go, be active and do something you get energy from! Q: What is the #1 struggle you experienced with your ileostomy and how did you concur it? A: The beginning of my ileostomy life, my biggest struggle was that I didn’t like that my bag was showing under clothes. Jeans were nearly impossible because my bag would air up above it and that really annoyed me. So the first years I would wear only clothes like tunics with legging, or dresses, but never jeans. Then I discovered that if I use shape-wear undies I could wear nearly everything without the bag bothering me! My second struggle was that I can’t eat fresh fruit or veggies due to scar tissue in my ileostomy because I have a more narrow opening and the blockage was really normal for me but so painful. Now I use a slow juicer because of that and I drink each day a big bottle of juice which contains a lot of vegetables en a bit of fruit. My energy level improved big time because of this! Q: What do you feel has helped you most while traveling (local or long-distance) with your ileostomy? A specific product, trick, or tip? A: With traveling long distance I always wear easy clothes, so that when I have to sit in the car for a long time my bag doesn’t get trapped and when I have to empty in public restrooms or even in the woods (yes that happens too) you make it yourself as easy as possible not having to take off many layers of clothes. 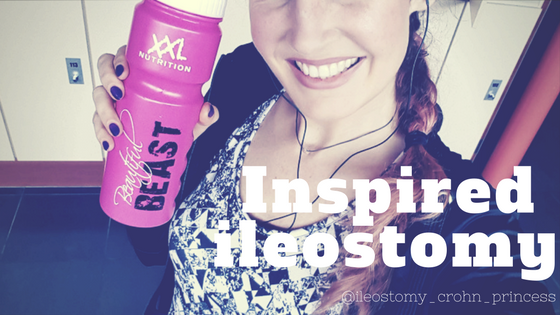 Q: If you had 1 piece of advice to inspire other ileostomies, what would it be? A: My advice is always: Wear your bag with pride! If you don’t cause a scene about it then really no one else will! Be open to people, so that they can relate and understand if your struggling. Don’t make a secret of your ostomy, that makes the stigma only bigger. Rock your bag!